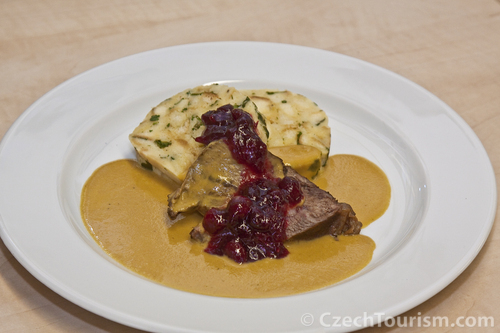 One of the favourite Czech meals and a symbol of Czech cuisine. Roast beef (sirloin) larded with bacon and topped with a cream sauce prepared from root vegetables. It is served with bread dumplings. It is a regular component of festive menus. 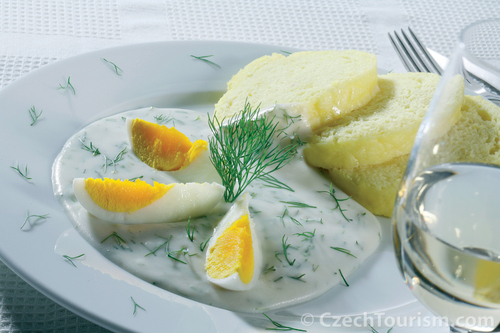 Considered to be the Czech national meal. 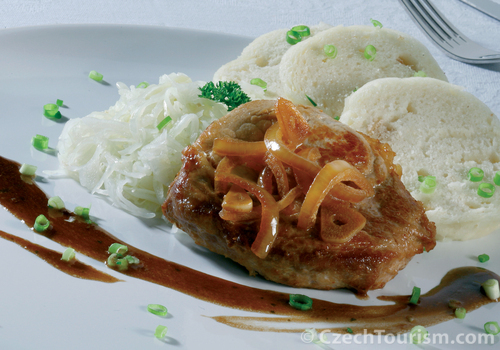 Roast pork meat with stewed red or white sauerkraut and dumplings. Originally a Hungarian meal that became established in the Czech Republic and belongs to the most popular dishes in restaurants and pubs. It is served with bread or dumplings. 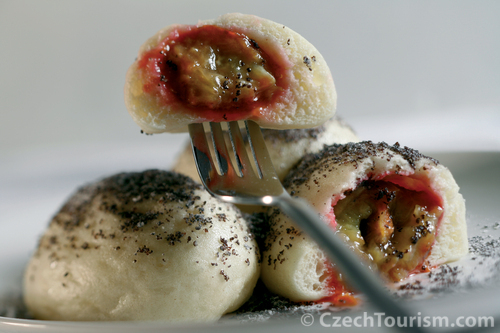 Is a well known Czech speciality served with sauerkraut and dumplings. The duck or the goose is glazed with honey to give it a golden colour when done. It is often prepared for festive occasions. Thin fried pancakes from dough made of finely grated fresh potatoes. They are served warm, either as a side dish with meat, or as a full meal. They are often on the menus in fast-food restaurants. 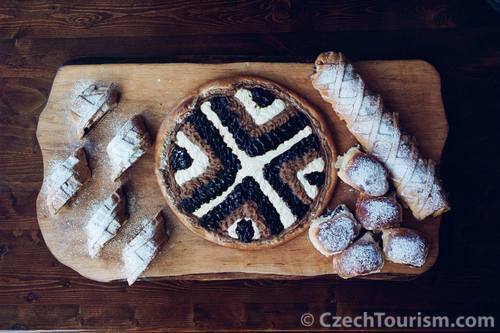 A dessert prepared from yeast dough and filled with poppy seeds, jam or quark cheese. They are regarded as a typical old Bohemian dessert. A honey-sweet dark brown pastry that is lavishly decorated. The original production location is the town of Pardubice. Gingerbread is often cut into various shapes - the most popular motif is a heart. He who does not purchase a gingerbread heart at a fair is like a person who did not even go the fair. You can symbolically profess your love to the one you hold dear and then both of you can enjoy eating it together. A popular regional confectionery product made from gingerbread dough shaped into a cone. The name is derived from the town of Štramberk, where it is also made. In 2007, they became a protected product in the European Union as an original food product. A traditional pie from the Wallachia region in the shape of large round pies, the history of which dates back more than 200 years. 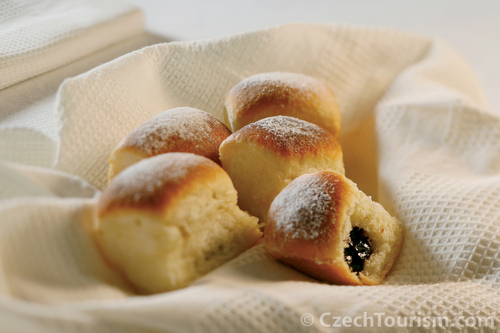 They are usually filled with quark cheese and garnished with jam and poppy seeds or marmalade. They were traditionally baked during celebrations and holidays, such as Christmas and Easter. 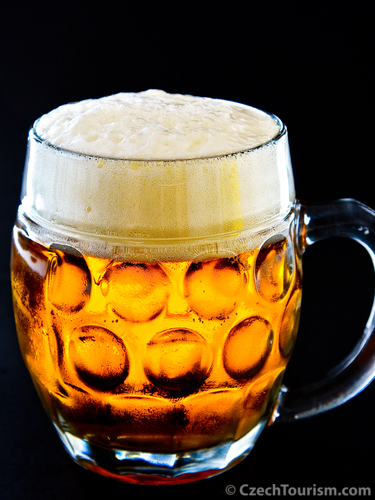 The Czech Republic is considered to be a beer superpower, so you should definitely not leave the country without having a swig of beer. Our country can also boast having high quality wines, especially white wines, so when enjoying Czech food, order a Czech wine. 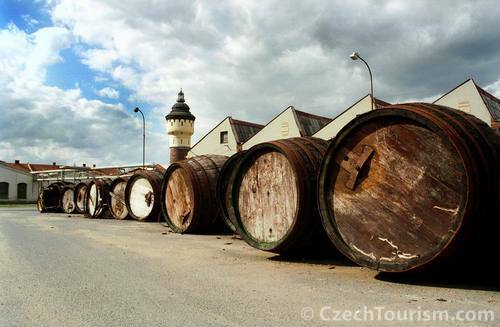 Traditional Czech Becherovka is a great digestif. 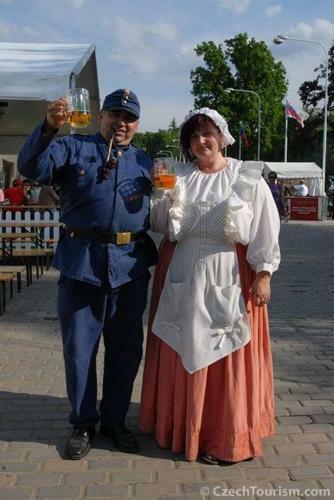 This bittersweet herbal liqueur from the famous spa town of Karlovy Vary (Carlsbad), thanks to its curative effects, earned the nickname the "Thirteenth Spring".